Thermodynamic Stirling Cycle and Stirling Engine: Part - 2. How does Stirling Cycle Works? How do Stirling Engines Work? 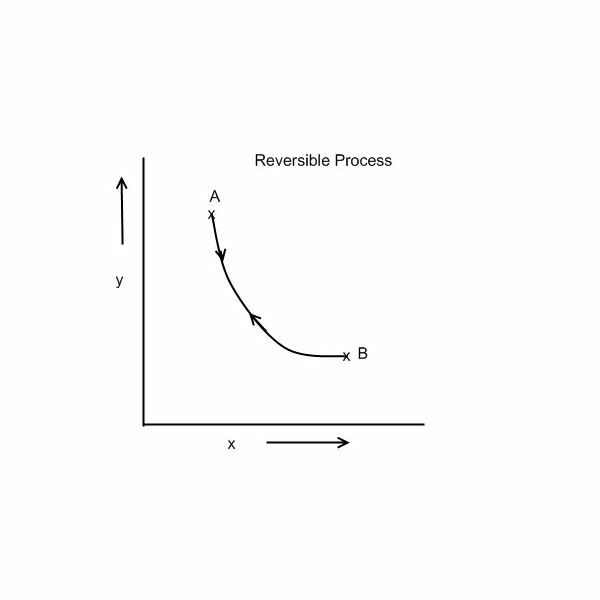 Thermodynamic Stirling Cycle and Stirling Engine: Part – 2. How does Stirling Cycle Works? How do Stirling Engines Work? 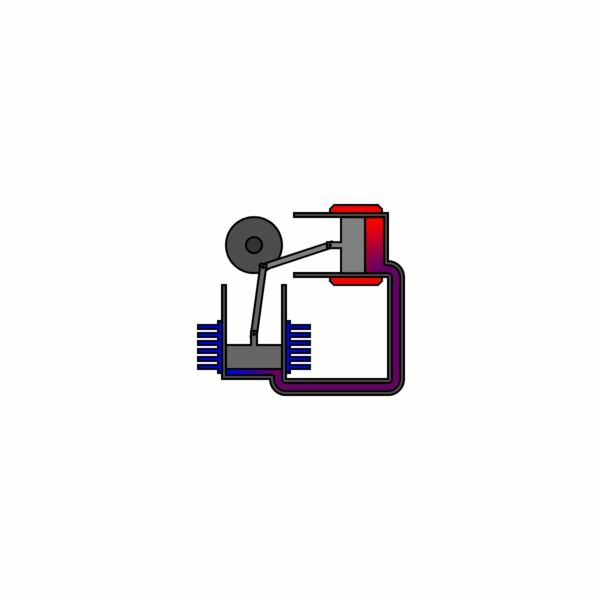 The working of Stirling engine is based on various processes of ideal Stirling cycle which comprises of two isothermal and two constant volume or isochoric processes. Stirling cycle was invented in the year 1817 and Stirling engine was used with hot gases. However, with the invention of Otto and Diesel cycles the Stirling engines became obsolete. The major difficulty in the Stirling engine was the design and construction of the intercooler or the heat exchanger in which the heat is lost by the fluid to the coolant at high temperature. In modern days, lots of development has been carried out in the field of metallurgy and further research on Stirling engines has paved the way for its comeback. The Stirling engine works in a closed cycle based on Stirling cycle. It consists of the fluid, called working fluid, usually air, though some gases like helium and hydrogen can also be used. The working fluid keeps on circulating through all the components of the engine repeatedly without leaving the engine. To keep the fluid intact, the Stirling engine is sealed so that no gas can enter or leave the engine. Since the engine is sealed and closed type, no valves are required as needed in other types of piston and cylinder engines. There are three types of Stirling engines: alpha, beta and gamma. Here is the working of alpha Stirling engine which consists of two cylinders and two pistons, one hot and one cold. In the figure given below, hot cylinder (the one at high temperature) is shown in red color while cold (the one at lower temperature) is shown in blue color. 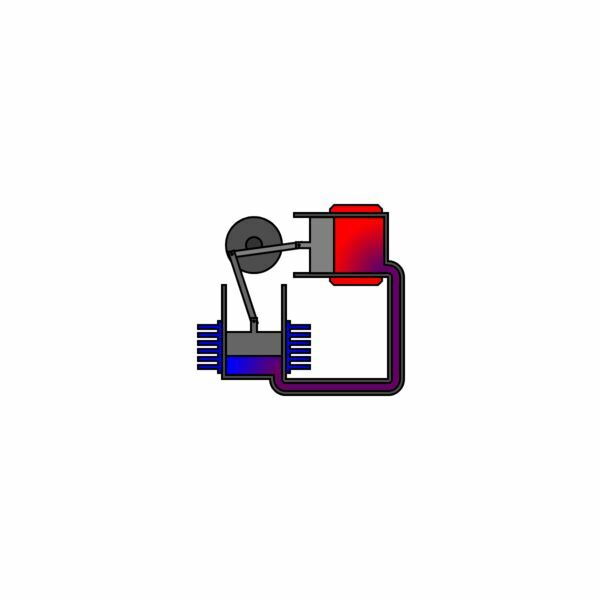 The hot piston is heated continuously, while the cold piston is cooled continuously. Here are various stages of working of alpha Stirling engine. During this process the working fluid in the closed cycle is heated in the hot cylinder and it starts expanding. Initially most of the expansion of working fluid takes place in the hot cylinder thus producing the work and motion of the flywheel. The expansion of gas continues in the cold cylinder moving the cold piston upwards, thus producing more work from the gas being heated. The cold piston is in position 90 degree behind the hot piston. See fig 1. The working fluid reaches to the position of minimum volume in both hot and cold cylinders. 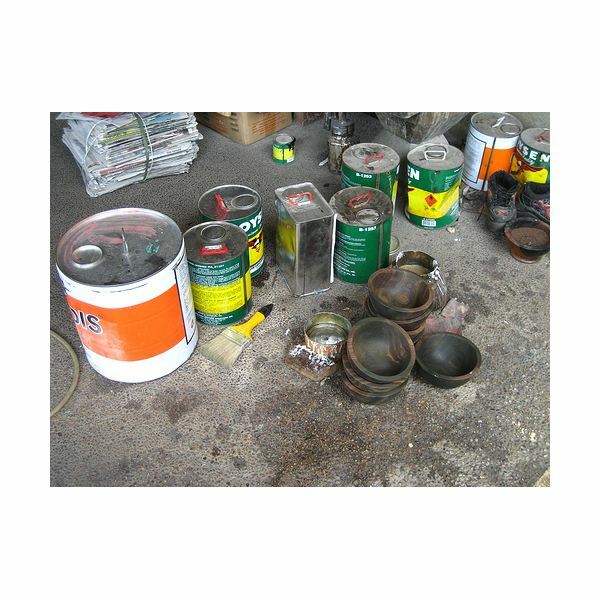 Thereafter the heating of hot cylinder starts, which starts increasing the temperature of gas leading to its expansion and production of work. See fig 4. Thus the cycle continues and the processes get repeated. 2) How do Stirling Engines Work?